Think of a TFI fellowship as an alternative MBA with multi-dimensional advantages. When I was 19, I came to Bombay on a summer holiday from the states where I was a high school student in Connecticut. As I walked into the Ahmednagar community near Cuff Parade, I saw the immense potential that the children from these low-income community groups possessed, not just to learn but to grow into conscious citizens in the future. I decided to stay and dedicate my life to these children with a belief that a strong educational background can change the world. Starting with 15 children which soon grew to 60 students, I opened the first Akanksha Center in Mumbai in 1991. (The Akanksha Foundation now has 60 centres with 20 full-fledged schools). Looking back now, when I was 19, nothing seemed like a challenge. My decision to open a learning centre was naturally an act of defiance against the conventional career options the society presents to us. As I went from community to community in the city, listening to their problems, mobilising young teachers and addressing complicated issues like health complications of students, understanding the socio-economic differences between the students and I, getting the go-ahead from authorities and the frustrating wait for paperwork --a lot of my decisions were seen with cynicism because of my age. 25 years later, the most noticeable impact has been graduation. The Akanksha children successfully complete their secondary school and take admission in Tier I and Tier II colleges in the city. They are part of multiple social leadership programmes and student management committees. Many TEDx speakers, Teach For India fellows and one has even become the principal of an Akanksha school. 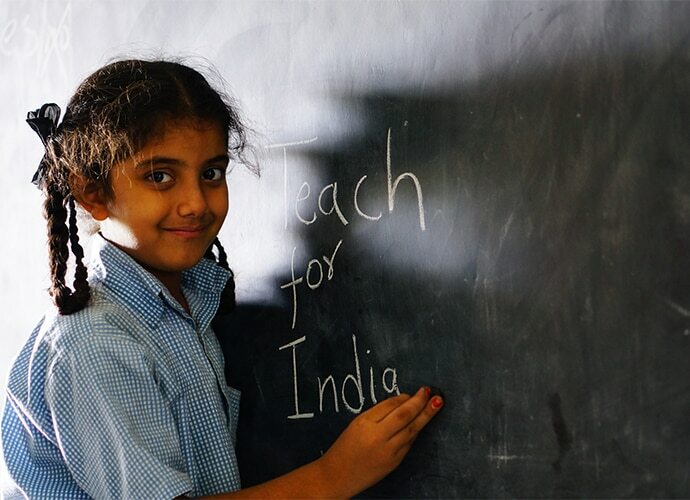 In 2008, when I joined Teach For India, it was an extension of my work at Akanksha. Here were thousands of bright young minds who were in my shoes when I started volunteering as a teacher. We just had to make sure they didn't face the cynicism, rather the encouragement that they are a part of imparting education that will bring about tangible changes in the system. The students who come to become fellows at Teach for India undergo two rigorous years of learning and imparting what they learn. There is a 5-week training in Pune where the fellows are honed into teachers through curriculum building workshops and mentorship through coaches and program members. The fellows are encouraged to teach beyond the syllabus, adopt sustainable teaching methodologies and concentrate on life skills and personality development of their students. 50 per cent of our fellows are students who have just graduated college. The other 50 are those who have been working in the corporate sector. The average age of the fellows is 24 years and by the time most leave us 60 to 90 per cent join the education sector. Think of a TFI fellowship as an alternative MBA with multi-dimensional advantages. TFI not only builds leadership qualities in a fellow but also the fellow gets to observe the transformational impact his/her teaching has on the lives of the children they teach. As told to Ursila Ali. Shaheen Mistri is the founder of Akanksha Foundation and the CEO of Teach for India.